A major new entrant to North Sea decommissioning, launched last week, has made its first acquisition. 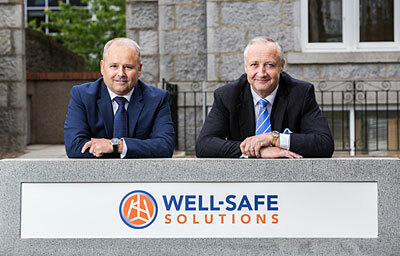 Well-Safe Solutions, a specialist well abandonment company, has acquired Intervention Project Management (IPM) for an undisclosed sum. IPM’s founder and managing director, Phil Milton, has been appointed chief executive officer of Well-Safe Solutions which has been set up to capitalise on the significant decommissioning opportunity in the North Sea by providing a ground-breaking approach to the safe and cost-efficient decommissioning of subsea wells. Formed in 2007, IPM provides independent engineering, project management and consultancy services to the global oil and gas industry. Specialising in well intervention, including plug and abandonment, and production optimisation, IPM has worked with an impressive portfolio of clients including CNR International, TAQA Brattani, Repsol-Sinopec ConocoPhillips, Chevron, Halliburton and Schlumberger. Well-Safe Solutions, which aims to attract GBP 200 million in investment and create 400 new jobs, offers a specialist well abandonment service that will allow operators to meet the challenges and regulatory imperatives around decommissioning. Set up by Mark Patterson, Alasdair Locke and Paul Warwick, Well-Safe Solutions will combine a wealth of subsea oil and gas expertise and experience with dedicated assets and equipment, to become the first-of-its-kind tier one company with a complete P&A capability from front-end engineering and design to project execution. With over 26 years’ experience in well engineering in the global oil and gas industry, Milton has a track-record in P&A and in start-up companies. His extensive technical knowledge is underpinned by his credentials in the safe and efficient delivery of well services, workovers and well abandonment operations in the North Sea and beyond for CNR, Shell, BP, BG and Conoco. This includes work on the Murchison P&A project and the Hutton TLP abandonment project. In forming IPM, Milton initially focused on supplying high calibre well engineering personnel to operators and the service sector. The self-funded start-up quickly grew to become a respected and trusted provider of well engineering support and project management in the North Sea, West Coast of Africa and Australia. The company now offers a fully integrated P&A service with differentiated contract models and the use of new enhanced techniques and technology. “I’m really excited to be joining the business at the out-set and bringing IPM’s experience to the development of an approach that will provide operators with the best and most cost-effective solution for their decommissioning liabilities and will offer UK plc a model that positions us as an exemplar for P&A activity around the world,” continues Milton. “The company can quickly become established as a centre of excellence for well abandonment and emerge as an important new employer in the North East. There’s a huge well stock in the North Sea that needs this know-how and experience to decommission wells safely and efficiently. I would expect Well-Safe to take this model to other well decommissioning programmes worldwide – further strengthening the UK’s position as a proving ground for new ideas and business practices which can be adopted elsewhere around the globe,” adds Beveridge.